James demonstrating the main rhythm of Eclipse, his open source piece. Odaiko at the back, yatai in the middle, James on the shime, leading. everyone just made all kinds of rhythms and sounds. Out of that darkness we were pulled out by a sombre mitsu-uchi on the Odaiko, and played it again with a more grounded, powerful feel. 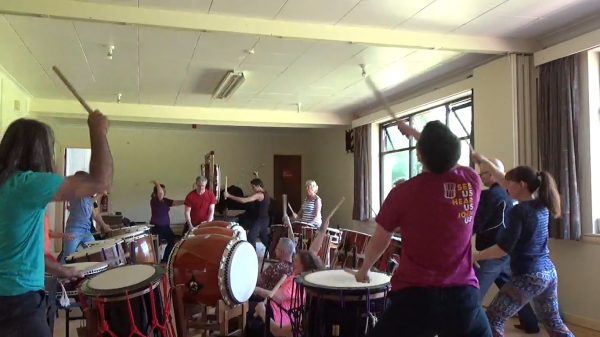 And as always with Taiko – we all were supporting each other with shouts, smiles, eye contact and body language that conveyed our utter happiness to be there at that moment in time, playing together. James made ‘Eclipse’ open source and we will definitely use it to improve so many skills – left right coordination and dexterity, musicality and creativity. 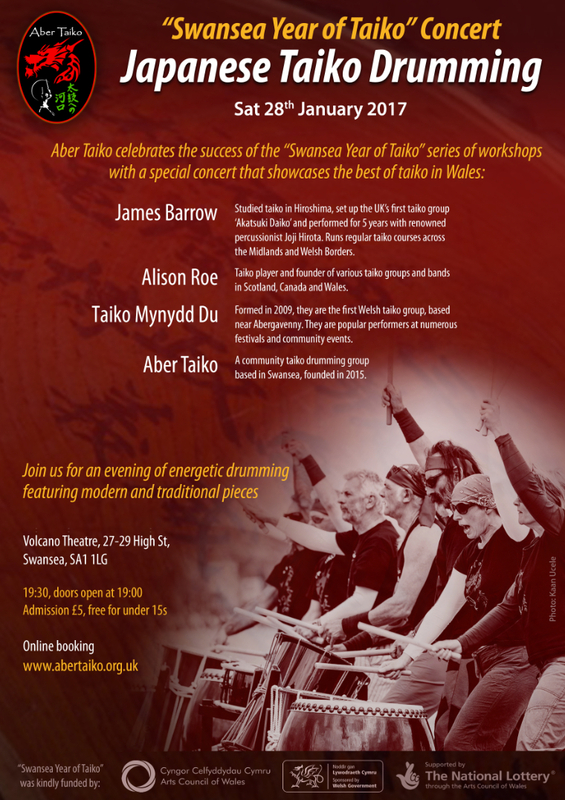 Ursula Frank and Heather Murray, founders of Taiko Mynydd Du gave us three workshops. 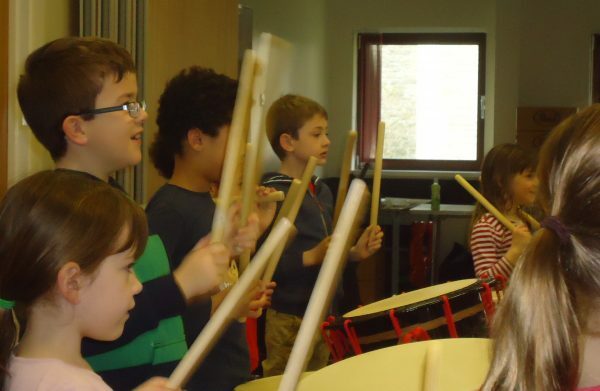 First was a family workshop where parents and children learnt a piece called ‘Godzilla’ written by Ursula and inspired by the music of the original Japanese film. 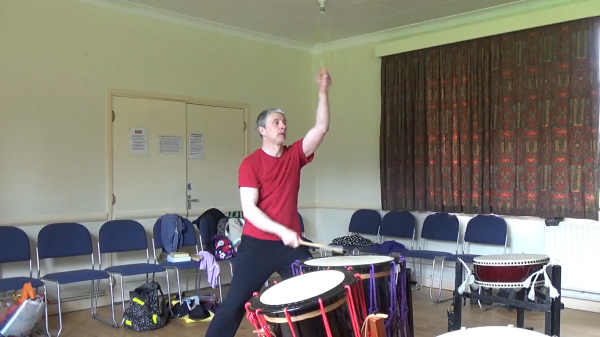 The adults then had a beginner’s workshop where we learned a simple version of a classical Japanese piece called ‘Buchi Awase’ and in the more advanced workshop we learnt another piece written by TMD called ‘River’. But it is not just the songs that we learnt – we learnt the basics of stance, movement and strike. We tried playing as a group – listening to each other and engaging with each other. When this is accomplished, any song we play would be so much more interesting and engaging both for us and for our audience. This workshop was kindly funded by the Arts Council of Wales.